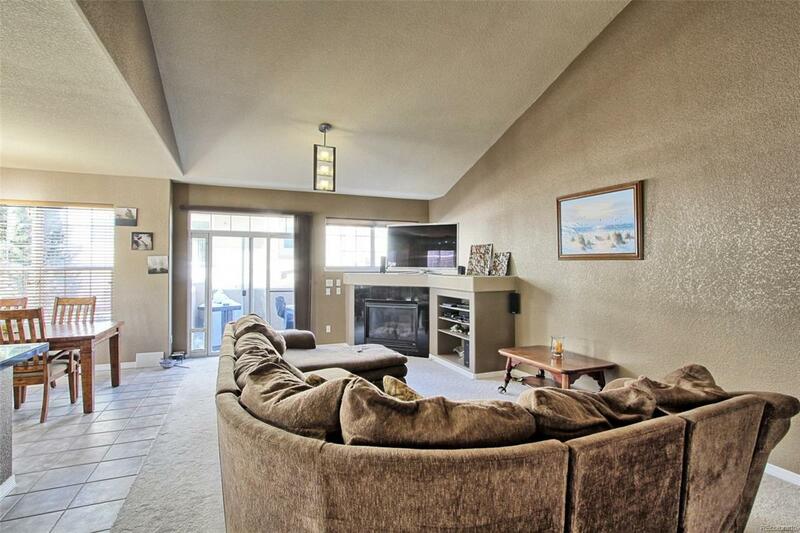 Located in popular Saddle Rock Golf Club, this spacious 2 Bdrm., 2 Bath townhome is move in ready. 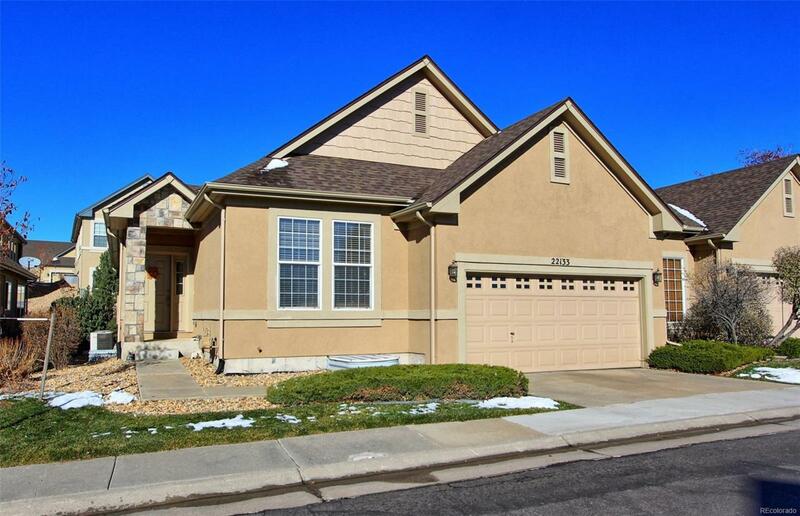 You will love the dramatic open, vaulted floor plan, art niches, main level laundry, double door entry to den/study & oversized 2-car attached garage. 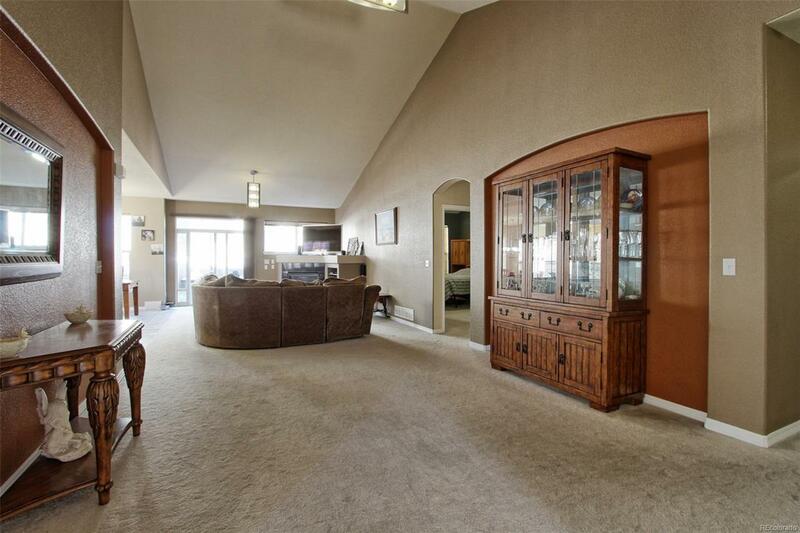 Large private master suite w/5-piece bath, vaulted ceiling & large walk-in-closet. 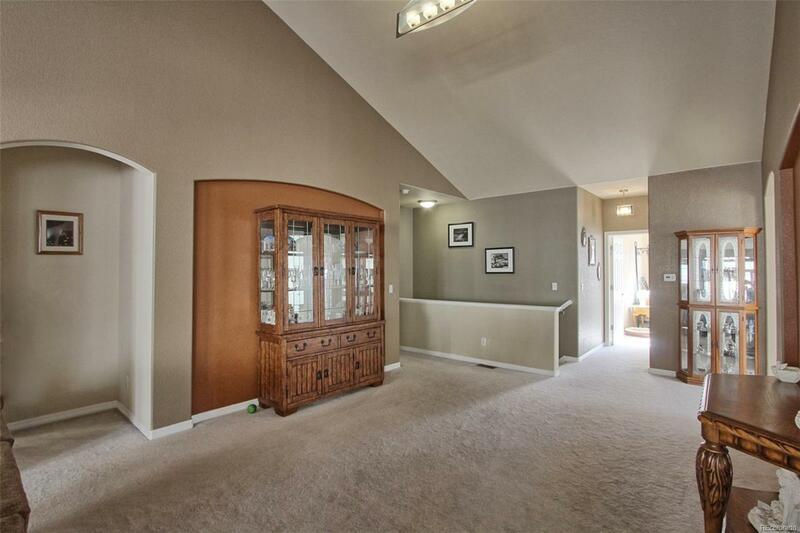 Kitchen is open to great room & features Center Island, stainless appliances, pantry, tile floor & sunny eating space. Corner gas log fireplace warms the great room and flows well into dining room offering great open space for entertaining. Full unfinished basement is perfect for storage or finish into your dream basement with plenty of space for home theater, 3rd bedroom & more. Easy one level living at its finest.